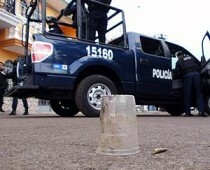 The State of Jalisco continues to maintain a heightened alert status in response to recent illegal blockades. The U.S. Consulate General in Guadalajara has advised its employees to stay close to home, avoid intercity travel, and continue to follow the local media for additional information. Three men and a woman were gunned down here. A narcomessage was spray painted on a nearby fence. On Thursday, it was reported that there were 33 killings over a two day period. One of them was the police chief of Galeana. Most of these are attributed to the rivalry between the CDG and Zetas, as shown by numerous narco messages left with the bodies. 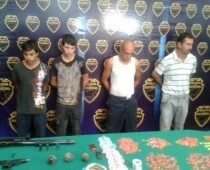 State police captured 4 members of the CJNG (Cártel de Jalisco Nueva Generación) in Tonalá and Zapopan municipalities. 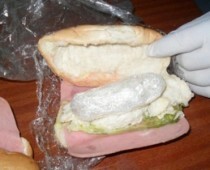 Federal agents, acting on an anonymous tip, arrested a couple carrying methamphetamine concealed in 6 bun sandwiches. Four suspected gunmen fell and three officers of the Federal Public Security Secretariat (SSP) were gravely wounded after a gun battle on Friday morning. It began with a chase and ended with the shootout. Three of the bad guys were shot, and another died when he crashed when fleeing. There were 4 bad guys arrested, with weapons, ammunition,m radios and vehicles seized. The state attorney general announced the arrest of the Secretary of Public Security of Anahuac, the director of police and a police officer for alleged complicity with an organized crime cell involved in at least six executions. Among the victims, said the source, is the wife of the former commander of the state police, Alanis Oscar Rocha, who was kidnapped on 1 August and whose body was found Monday in an unpopulated area. Three suspects were arrested in that crime, and implicated the others arrested. 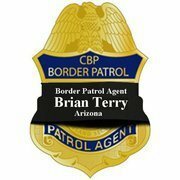 Two undercover federal agents were gunned down late Friday afternoon. Residents reported shooting, and on arrival, police and military found one agent dead, and the other died during emergency treatment at a clinic. An 80 year old uninvolved man was gravely wounded. Investigators reported at least 60 bullet holes in the federal agents car. In a span of just over four hours, four people were killed here Friday. 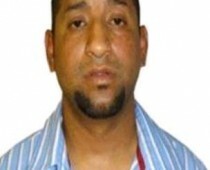 David Rosales Guzman, El Comandante Diablo, identified as head of the Gulf Cartel plaza in Monterrey, was arrested Saturday by the Federal Police. 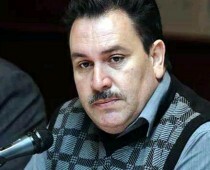 He is implicated in multiple murders, kidnappings, extortion and attacks. 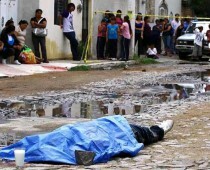 At least 13 have died in the Acapulco area this weekend. 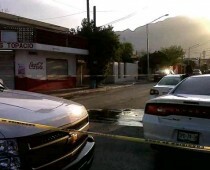 It began Saturday night with a shootout between the military and gunmen near the town of El Camarón which left 6 bad guys dead. 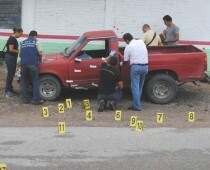 Sunday morning 3 men were found executed near Atoyac de Álvarez. 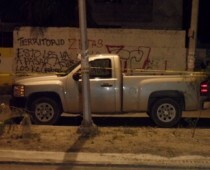 In Acapulco, two men were killed, with one dismembered. A family in a vehicle were attacked, leaving the father and a ONE YEAR OLD CHILD dead. Two women with them were wounded. Early Sunday, a shootout here left a state police officer and two suspects dead. No other information was released, other than telling people to stay off the streets. 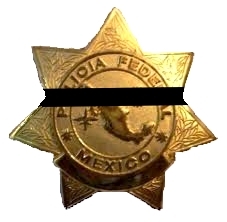 Two municipal police officers, Ramiro Grande Navarro and Francisco de León Velázquez, were shot and killed about 7:30am Sunday morning as they approached a juvenile detention facility for shift change. The one was the shift commander. Mexican Elections, Terrorism, and the PRI: Cartel War in Flux? Does IG report scapegoat Fast & Furious? 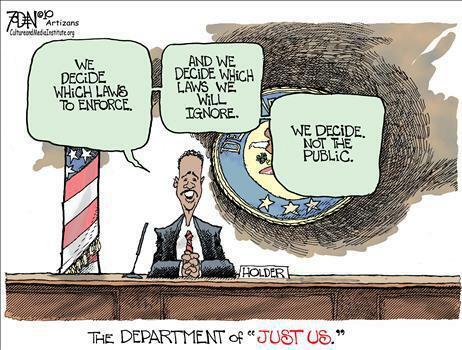 Fast and Furious: Prosecutions Coming? This entry was posted on September 3, 2012 at 15:21 and is filed under Uncategorized. You can follow any responses to this entry through the RSS 2.0 feed. You can leave a response, or trackback from your own site.